A gen 2 Lightning. 2004 model year. I think I`d want a 1956 F-100. One, it was the year I was born. Two, It is cool body-style. I`d want a Flathead V8 and Manaul Trans. That is a tough call for me. I have a few different vehicles right now that I am in the process of getting. If I was to go turnkey and never modify the car, then I would be looking at a new Beck Lister (550HP ZZ4 motor in a 1600 pound car, this car takes on Venom Vipers and twin turbo Porsche 911`s and smokes them). If I was to go with a new car, then I am looking at either a 2011 Jaguar Super 8 (top of the line Jag with a supercharged 5.0L motor under the hood) or a Lotus Elise with some engine mods to get the power up to around 300 hp (possibly more). If I am going old school, then 1971 Charger (year I was born) with a Viper V10 under the hood that is supercharged (around 900 hp). All but the Jaguar are in my reach and really I am just waiting on getting a house before I get one of these beauties. The question is which one to get first. He he he he he he he he. 1967 chevy II nova ( my first car I bought) but I would want this one to be a ten second street car. seen lots of them for sale. one grand per second though. next would be a 1974 ford f-350 crew cab 4x4 truck v-8, 4 speed, manual transfer case, solid axles and leaf sprung. oh! and with pine green factory paint. or I would like the truck that is up the street 1955-57 ford regular cab 4x4. it is a very sweet truck. 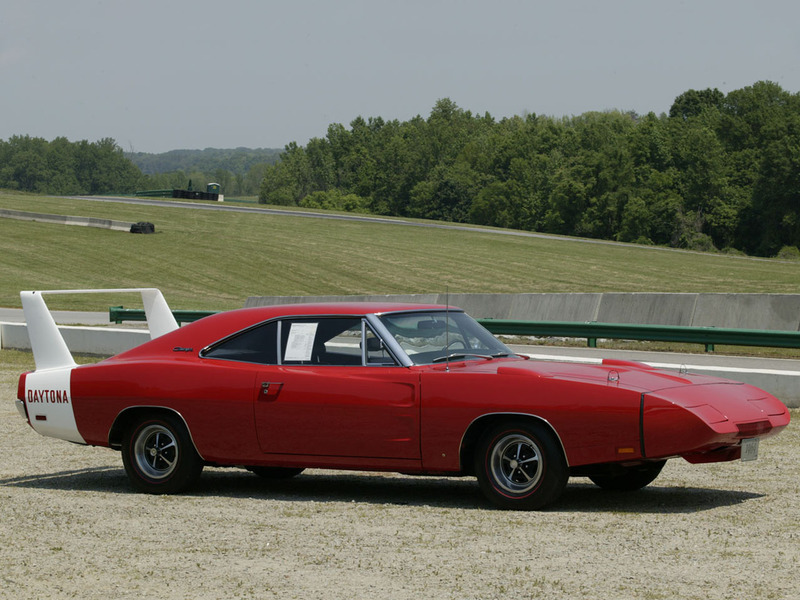 dodge daytona. I don`t know why but I ready like these cars. Ultimate vehicle just for me? Cobra. An original 427 would be great. A kit car would be fun. That Plymouth Road Runner Superbird has always been a car I would love to own!